Smokey Glen Farm Wedding Photography – Kristina and Ed were married on a gorgeous Summer, Saturday afternoon at the equally beautiful Smokey Glen Farm in Gaithersburg. The day started off at their home nearby where Christina and the bride’s maids were all getting ready. All the ladies were pretty relaxed as they got ready while wearing their matching robes. Christina opted for a very elegant, yet casual wedding gown, which completely matched her personal style that was evident throughout their home. I met the guys at Smokey Glen Farm just before the ceremony and they were definitely in a very relaxed mood. The part of the farm where the ceremony and reception happened was amazing. It was very relaxed, intimate, and had plenty of activities to keep everyone happy including its very own miniature golf course which all of the guests took part in. Christina and the ladies arrived and it was straight away to the ceremony which was held just beneath the barn which hosted the reception. All of the details of the ceremony were perfectly suited to the relaxed country feeling of their day. After the ceremony, we took the bridal party for a quick walk to a few places around the property for some fun pictures. After the photos, we were off to the barn where everyone was waiting in anticipation for the newly wed couple…and the amazing bar-b-que dinner that was being prepared. 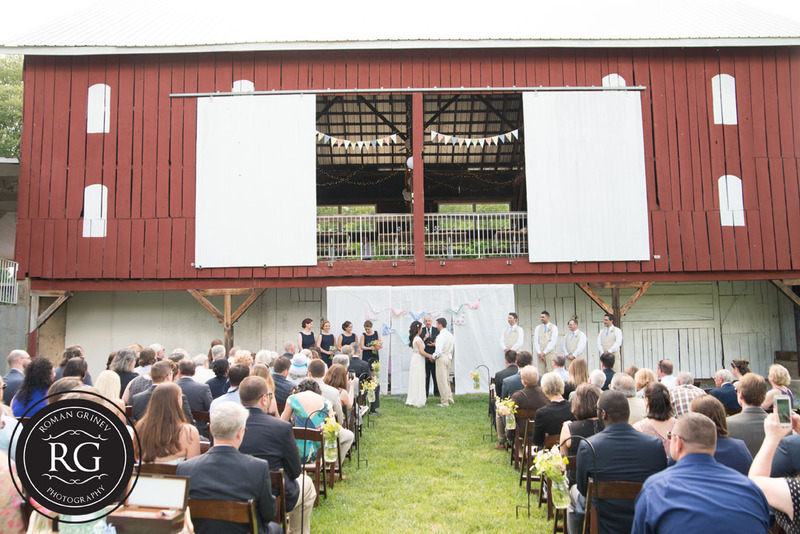 The barn was decorated beautifully; it was certainly a perfect location for a farm wedding. Christina and Ed had a live band for entertainment and everyone enjoyed them very much. The reception was perfect for the tone they wanted; casual, relaxed, farm style with people hanging out, listening to the band, playing miniature golf, and eating home made pie for dessert. 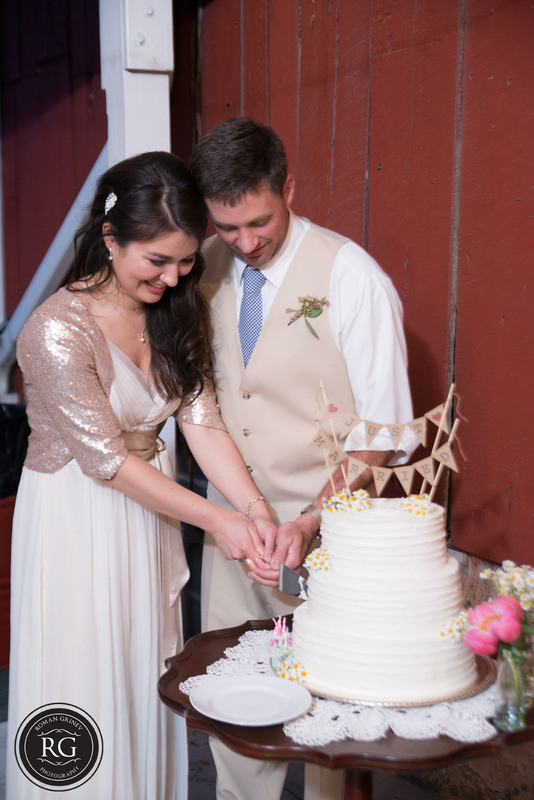 Christina and Ed’s wedding was certainly a great time on the farm!